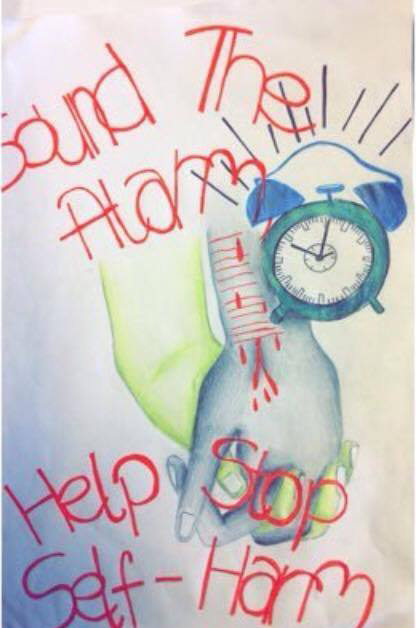 Our YSI project was presented to various schools in Munster in the Limetree Theatre in Limerick City last month, overall our presentation went very well and we recently were informed that we have got been accepted to attend the show in Dublin with approxiametly 70 other schools from around the country. As part of our YSI project we are promoting positive mental health and self harm, the class decided to organise a fun run, we organised this with our religion teacher, however it was great to see all the staff help with the event. The money raised from our event will go to the Irish Cancer society and our Transition Year fund. We organised a 5 kilometre fun run, a 35 kilometre cycle and a 60 kilmetre cycle. 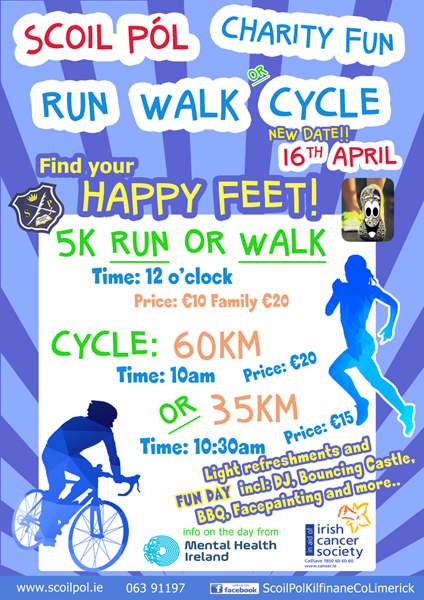 This event will run on the 16th of April and will commence with the 60k cycle at 10am, the 35k cycle at 10.30am, and finally the 5k run/walk at 12 o clock. There will be light refreshments and a fun day icluding a live DJ, Bouncing castle, BBQ, Facepainting, and more! Be sure to invite all your family and friends, a great day will be had here at Scoil Pol!. if you have any queries about the event please do not hesistate the contact the school on 06391197.